Four rather cool pieces of possibly legitimate conceptual artwork from three of Marvel Studios’ forthcoming Phase Two movies have leaked online, giving us a greater idea of the expanded scope and design Marvel is bringing to this next huge step in their total conquest of comic book cinema. Below is some concept art for sequels Captain America: The Winter Soldier and Thor: The Dark World, as well as for Guardians of the Galaxy. 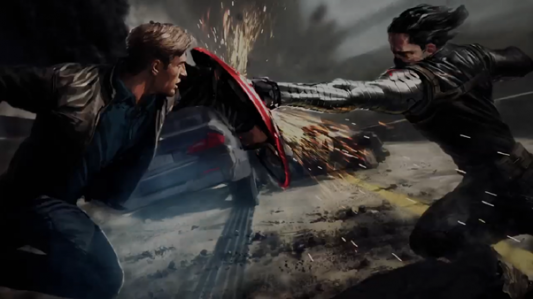 First we have an image from Captain America: The Winter Soldier, depicting Cap (Chris Evans) battling it out with the titular villain, a resurrected Bucky Barnes (Sebastian Stan). Next we have two pieces from Thor: The Dark World, the next Marvel movie to premiere following May’s Iron Man 3. The first is of a vast and mysterious alien world. 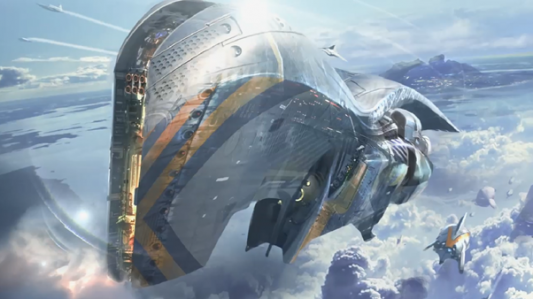 The next presents a fleet of massive spacecraft in flight among the clouds. 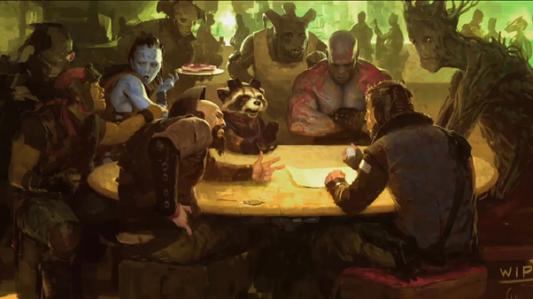 Last we have an image from Guardians of the Galaxy, showing our space-faring heroes convening in a strange intergalactic watering hole. There is a chance that these images may not be entirely on the level, but for the sake of argument, let us assume they are the real deal. It has been common knowledge for many months now that Phase Two would take the heroes of the Marvel Movie Universe to wild and exciting new frontiers in this world and beyond. As much as I loved the first Captain America and Thor movies, there was a distinct lack of action set pieces in both. The First Avenger in particular relegated most of its potentially amazing scenes to a series of montages. Budgetary restraints and the studio being extra cautious about launching these relatively untested characters in expensive solo screen vehicles doubtlessly played a role in this, but with the success of those movies and The Avengers, Marvel now has the freedom to expand their universe on the big screen in ways that no one could ever have possibly imagined. Who would have ever thought a Guardians of the Galaxy could become a reality, and with James Gunn directing no less? 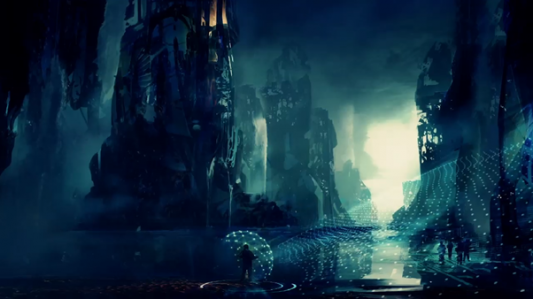 Thor: The Dark World opens in theaters on November 8, 2013. Captain America: The Winter Soldier gets an early drop on next summer’s slate of big-budget blockbusters on April 4, 2014, while Guardians of the Galaxy arrives on August 1, 2014.